to the age of the intended home. This one would be about 1870. 3. 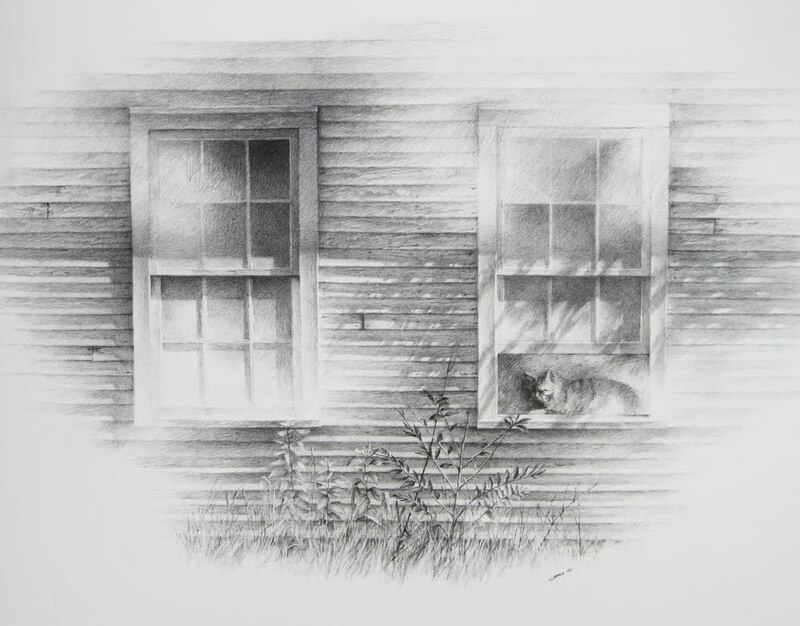 The natural influence enters and "grounds" the piece--they are weeds he has noticed in a neighbor's yard that seems to fit the bill of what he needs to complete the drawing. He uses his artistic eye to determine what natural greenery will do, and places the plants he has photographed into the drawing. 2. Percy is caught looking at his own image. Serendipitously, The Artist determines the sun lighting is good to snap a shot of the progress he is making with the drawing. looking towards his own image in the drawing. "What am I supposed to see?" He feigns ignorance. novel is begun, and write it themselves! All images are © 2013 by Carroll N. Jones III. All rights reserved.